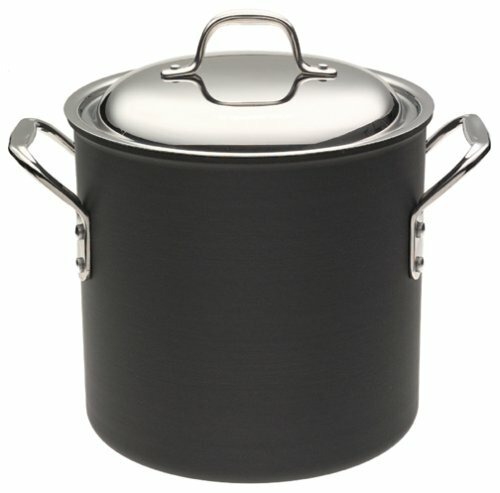 What are your favorite pots and pans? SCANPANs Lifetime Warranty makes buying SCANPAN products a safe investment. I recently had a few items replaced and the new coating is even more impressive than the coating on the first pans I purchased. SCANPAN Titanium is made in Denmark. It is one of the best lines of nonstick cookware on the market. 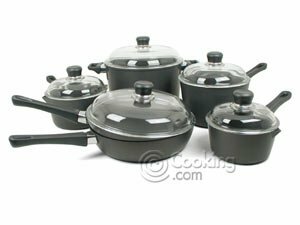 The pans have a Ceramic Titanium non-stick cooking surface and a Pressure-cast aluminum body. All other nonstick pans have one or more layers of traditional coatings which seem to quickly peel, scrape off or blister. The SCANPAN company now says you can even use metal utensils. 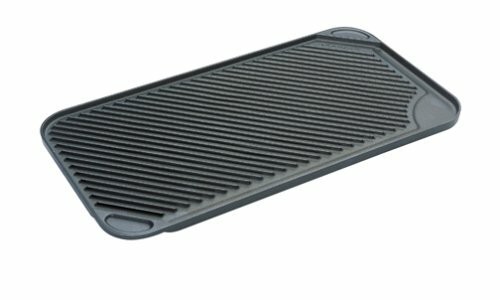 These pans have heavy-gauge, perfectly flat bases and can be used on electric, gas, ceramic and halogen cook tops. 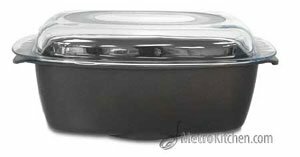 All the cookware, glass lids, and the ergonomically designed very comfortable handles are ovenproof to 500º F/260º C. This is a feature unmatched in the industry. Base is guaranteed to remain level - The best I've seen in my short life. The base is thicker than most pans and the pans feel very sturdy. No spinning on glass surfaces like other pans I've used. Even Heat Distribution - Guaranteed to not have any hot spots. 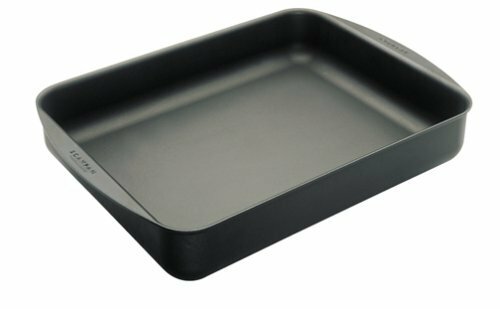 Also look for the griddle, square grill pan, crepe pan, roasting pan, stove top grill, paella pan, wok and covered chef pan/Wok. 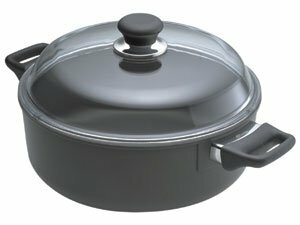 If you are tired of buying cheaper pans (that you eventually throw away), give this line a try. I have found that this is a very worthwhile investment (They stand by their warranty and replace items promptly) and my cooking is much improved. I love the results I have been able to achieve with this set of pots and pans. When I cook with SCANPAN Items I feel like a chef and my recipes take on a gourmet quality. Food browns more evenly and sauces are super creamy because of the even heat distribution. 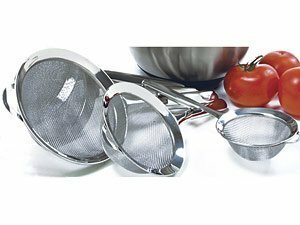 You will also love this set for cooking stews, making quick breakfasts (since nothing sticks you can use the same pan for many items, bacon, eggs and hash browns), gravies, frying steaks, one-dish meals and anything you can think of cooking. You can even start items on the stovetop and finish them in the oven. Highly Recommended. 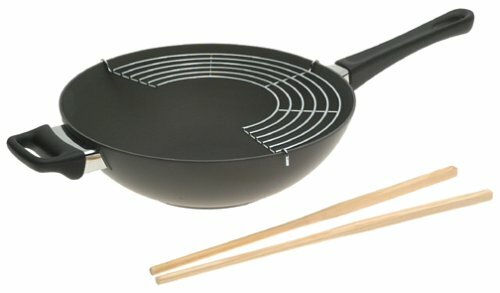 I've been using these pans for years and have yet to find anything like this set. I also love the Covered Low Sauce Pot. I do not recommend melting chocolate in a double boiler as the steam can cause the chocolate to freeze up from the moisture. Use your double boiler when making a custard for ice cream, pour out the hot water and replace with ice cubes. Set the top pan on the ice to cool the custard mixture fast. boiling pasta, potatoes or any large vegetables. 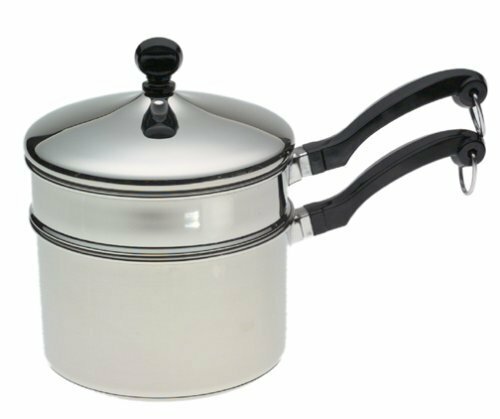 The nonstick finish helps to prevent items sticking to the base of the pot and burning. Perfect for a large pot of soup.